When you are seriously injured, your life is immediately, and often, irreparably damaged. Physically painful, financially crippling, and emotionally devastating–injuries can impact every facet of your life. Although many types of injuries may cause these debilitating effects, the law delineates a separate classification for “catastrophic injuries,” applicable under specific circumstances. Defined by law, a catastrophic injury means “an injury, the direct and proximate consequences of which permanently prevent an individual from performing any gainful work.” These injuries can range from traumatic brain and spinal cord injuries, to loss of limbs, paralysis, and severe burns. The causes of catastrophic injuries are similarly variable, occurring as a result of medical malpractice, car and motorcycle accidents, workplace incidents, defective products, and many more. However, the common thread among these injuries as it relates to the law is the involvement of a negligent party. When an individual, company, organization, or another group contributes to your catastrophic injury through some form of negligence, the law provides a mechanism through which to hold these parties accountable and obtain just compensation. At Fronzuto Law Group, our seasoned personal injury attorneys have successfully represented countless victims and their families across New Jersey, including those who have suffered catastrophic injuries. For example, we recently obtained $14,500,000 on behalf of a 12-year-old boy who suffered a traumatic brain injury and permanent disability as a result of a defective aluminum youth baseball bat. Regardless of the circumstances of your case, it will likely require extensive investigation, expert evaluations, medical assessments, and aggressive advocacy both inside and outside of the courtroom. With over 75 years of combined experience and millions in successful verdicts and settlements behind us, our personal injury team is thoroughly prepared to walk you through the complex and often contentious road ahead. If you or someone you love suffered a catastrophic injury and you suspect that someone’s negligence may have played a role, contact our offices anytime at (973)-435-4551 or contact our firm online to schedule a free initial consultation. Catastrophic injuries significantly impair, if not entirely destroy, physical or mental functions of the body. Due to the extent of the victim’s injuries, they are the most costly for the sufferer in terms of quality of life, for the victim’s family due to the increased burden of care, and for their finances because catastrophic injury victims often require long-term or lifelong medical treatment and assistance. As mentioned previously, the victim is also prevented from working for a long period of time, if not permanently, due to their disability, which deprives the victim and their family of this form of income. Of course, the unimaginable pain and suffering caused by catastrophic injuries cannot be understated. In terms of the causes of catastrophic injuries, there are many. Some of the most common causes of these injuries are explained in greater detail below. Different types of motor vehicle accidents produce different injuries, which can be an important factor in determining the amount of compensation available to the injured party. The major types of motor vehicle accidents include car accidents, motorcycle accidents, truck accidents, bicycle accidents, and pedestrian accidents – all of which can cause catastrophic injuries that necessitate surgeries, hospital stays, and expensive medical treatment. Many motor vehicle accidents result in traumatic head injuries and diffuse axonal injuries because the accidents involve rapid acceleration or deceleration and a collision. Additionally, motor vehicle accidents are one of the most common causes of spinal cord injuries. Property owners have a legal responsibility to ensure that their premises are safe for visitors. When a property owner is negligent and fails to inspect potential safety hazards, or fails to warn visitors of the hazard, a slip & fall accident can result and leave the victim with catastrophic injuries and costly medical bills. An experienced personal injury lawyer may be able to help you file a premises liability claim against the negligent property owner, whether the accident occurred at a private residence or apartment complex, in a parking lot, at a shopping mall or grocery store, outside a restaurant or nightclub, at a construction site, or anywhere else. Construction site injuries are often so severe that the injured worker is unable to return to work for an extended period of time, leaving them without income to cover their basic living expenses and the medical bills necessitated by their injuries. In some cases, a construction accident can result in permanent disability, scarring and disfigurement, paralysis, traumatic brain damage, spinal cord damage, or death. Whether the construction accident was caused by a fall from a roof, a ladder or scaffolding collapse, unguarded scaffolding, a falling object, construction site debris, a crane collapse, or a machinery malfunction, the injured worker should explore all of their legal options. Preventable medical errors of all varieties can result in catastrophic injuries, as the victims are often already in a vulnerable state and highly susceptible to health risks. Anytime you go to a hospital or doctor’s office, you have every reason to expect that you will be properly diagnosed and treated by trained medical professionals. When the doctor, nurse, or other medical professional you rely on misdiagnoses your condition or otherwise acts negligently, you can suffer permanent or even life-threatening injury or illness. Some of the most common types of medical malpractice include failure to diagnose cancer, labor and delivery errors resulting in birth injuries like Erb’s palsy and Cerebral Palsy, surgical errors, anesthesia errors, and medication or prescription errors. Companies have a legal responsibility to design and manufacture products that are safe for use. When someone uses a product that has a faulty design and suffers an injury as a result of the defective product, they may be able to file a product liability claim and seek financial compensation. This is especially important when the faulty product causes catastrophic injuries. Some of the most common types of defective products cases include defective machinery on construction sites, defective vehicles that lead to auto accidents, defective medical devices that lead to surgery-related injuries, dangerous drugs and pharmaceutical errors, and defective consumer products. When a property owner has a swimming pool on their property, it can create liability for catastrophic injuries sustained in swimming or drowning accidents. Depending on whether the pool is open to the public, a property owner may have a legal duty to provide supervision in the form of a lifeguard to ensure the safety of swimmers and other visitors to the pool area. Some of the most common pool-related accidents include slip & falls on concrete around the pool, chemical burns due to chlorine in the pool, and drowning accidents when a child is left unattended near the pool. In the most tragic cases, a swimming pool accident can result in wrongful death. Some sports, such as football, baseball, basketball, hockey, skiing, and horseback riding, can pose significant safety and health risks. In fact, many of these sports require participants to wear helmets – but protective headgear may not be enough to shield against a catastrophic injury. Given the very physical nature of certain sports and athletic activities, it is possible for participants to suffer a concussion or other type of closed head injury. Other catastrophic injuries may result from defect sports equipment that fails to protect players from brain injury or other physical trauma. For instance, our team of NJ Personal Injury Lawyers recovered $14.5 million on behalf of a 12-year-old boy who suffered a severe brain injury and permanent disability resulting from a defective aluminum youth baseball bat. 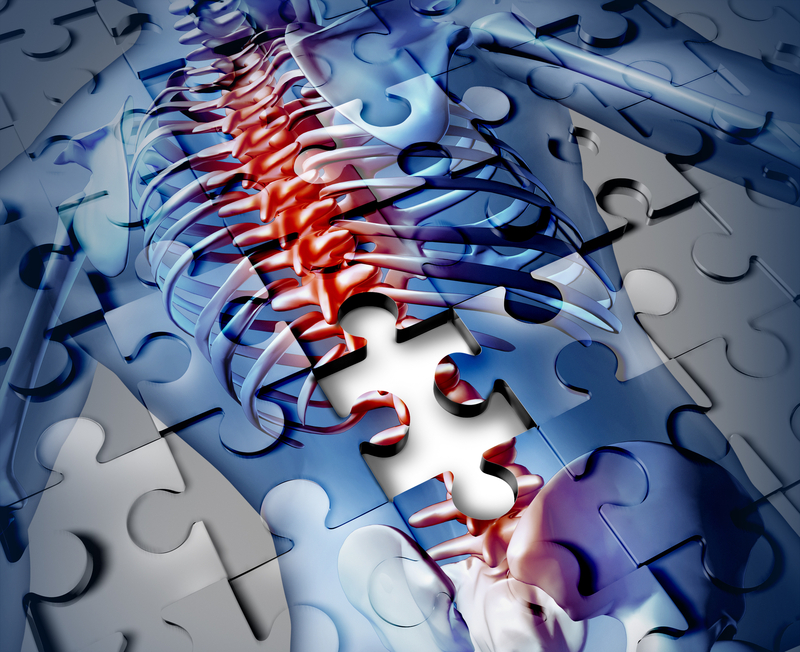 What Are the Most Common Types of Catastrophic Injury? There are a vast array of injuries that meet the criteria for “catastrophic,” many of which involve significant impairments of the central nervous system. Due to the interconnected nature of the body, damage to the central nervous system often spells severe consequences for associated bodily functions, including movement, sensation, reasoning and cognition, respiration, the urinary or gastrointestinal systems, reflexes, hearing, vision, and communication. Catastrophic injuries may also involve the loss of extremities, severe burns, or other events that result in permanent disfigurement. Although any type of personal injury can be potentially life-altering, a catastrophic injury is particularly likely to do permanent damage to the victim. Of course, some catastrophic injuries are worse than others – particularly if they result in hospitalization and surgeries. Traumatic brain injuries – Violent collisions in auto accidents, or falls from extreme heights, can cause serious head injuries and permanent brain damage. Neck and spinal cord injuries – Injuries to the neck and spinal cord are common in slip & fall accidents, which can lead to serious health problems and chronic pain for the victim. In the worst cases, the victim may lose function of part of their body. Nerve damage & neurological disorders – In some cases, a broken bone can cause surface nerve damage or, in the worst cases, deep tissue damage. Additionally, certain neurological disorders, such as Erb’s palsy, can cause severe nerve damage and leave the victim with permanent, lifelong injuries. Severe burns – Anyone who works in an industry that requires exposure to fire or chemicals is at risk of electrocution and chemical burn injuries. Carbon monoxide poisoning – Lack of oxygen to the brain for any period of time can cause asphyxiation and a hypoxic brain injury. Cancer – A person who works around toxic chemicals may be at heightened risk of getting cancer. Paralysis – When a spinal cord injury occurs below the neck, the victim can suffer paraplegia, which is substantial paralysis before the waist. A spinal cord injury at the neck can result in quadriplegia, which is the paralysis of both the arms and the legs. Shoulder injuries – A torn rotator cuff can weaken the victim’s shoulder and cause severe pain that affects the victim for the rest of their life. Knee injury – Any accident that causes a sudden twisting motion can result in a severe knee injury, including a torn ACL. Amputation and loss of limbs – Sometimes, the injury is so severe that the victim’s arm or leg cannot be saved by doctors. One of the major causes of injuries resulting in amputation is heavy machinery accidents. Eye injuries – Serious head injuries can lead to blurred vision or, in the worst cases, blindness. Hearing loss or deafness – Exposure to loud noises on a continual basis can result in permanent hearing loss. Broken bones – Accidents that involve violent collisions, such as auto accidents, can cause the victim to suffer broken bones. In the worst cases, a compound fracture can cause the broken bone to pierce the skin. Wrongful death – The very worst traumatic injuries can be fatal. This is a particular concern for anyone who works performs dangerous work, such as construction workers. How do I Obtain Compensation for a Severe Injury in NJ? The accident or event leading to catastrophic injury or illness can happen suddenly, leaving the victim with little chance to avoid the injury. In many cases, such as medical malpractice by a negligent doctor or physician, there may be absolutely nothing that the victim can do to avoid catastrophic injury. Worst of all, these injuries can destroy the victim’s physical or mental functions and inhibit their ability to exercise control over their body. Catastrophic injuries are particularly likely to affect the victim’s quality of life, as well as the quality of life of the victim’s family due to the increased burden of care and the financial costs associated with providing lifelong medical treatment, physical therapy, and other forms of assistance. Additionally, due to the inherently serious nature of catastrophic injuries, the victim is often left without the ability to perform the same type of work that they performed prior to the injury. This can place a significant burden on the victim and their family as a result of lost income. If another party acted negligently, recklessly, or intentionally and you or a loved one suffered catastrophic injuries as a result, it may be possible to seek compensation and get justice. The key is to have a qualified attorney on your side throughout the litigation process. Or better yet, enlist a team of legal professionals who understand the nuances of personal injury law in New Jersey and can take address the complex legal matters while you focus on recovering from your injuries. When we take on a catastrophic injury case, it is our primary purpose to obtain maximum compensation for the victim and their family, including: current and future medical expenses, physical therapy and rehabilitative treatment, lost income during recovery, loss of future income due to disability, cost of continued care and necessary accommodations, and pain and suffering. We enlist leading experts in relevant fields to evaluate medical findings, earning potential, and contributory negligence to construct the most compelling claim for damages. At Fronzuto Law Group, we purposefully limit our caseload in order to provide concentrated and comprehensive support and guidance to our clients. To discuss the circumstances of your case free of charge, contact our offices at 973-435-4551 or toll free at 888-409-0816. One of our highly knowledgeable New Jersey Catastrophic Injury Lawyers will be happy to answer all of your questions and to discuss your available legal options.